With the USA-Jamaica matches in the rear view, Simon Borg of MLSSoccer.com joins Luke Lohr to break down the efforts of Jurgen Klinsmann's team. Who performed best and who let down? Simon and Luke take a look at Major League Soccer's influence on the roster and what might be going on in Jurgen Klinsmann's mind through CONCACAF Qualifying. In a separate interview Pedro Gomes reaches out to USL Champion Jose Cuevas about his run to the cup with the Charleston Battery and just what his future may hold. 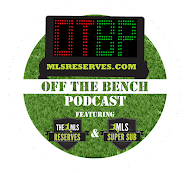 Off The Bench is coming at you. Here's your gift for listening. The Dueceface.